I finished the 1/3 doll size version of Tiny Owl Knits wonderful Woodland Hoodlet pattern today! I unfortunately don't have a doll available to model yet, still having one in pieces while I get up the nerve to do the makeup, and my Pidgin doll won't be completed (and then completely paid off) for about three months. So for now, I have to be content with showing off the product without a model. I am very happy with how this turned out, and have already cast on for an even smaller version! 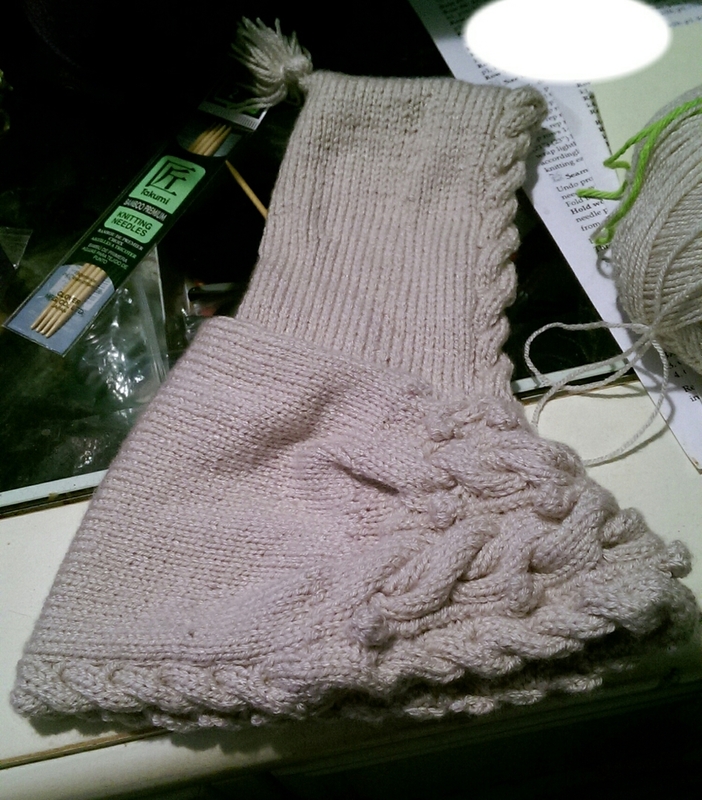 Older PostKnitting Experiment: Woodland Hoodlet, Nearly Done!